Be a textile know-it-all! In this class we'll detail the process from fiber to textile, show you loads of samples and dig into the terminology that will deeply improve your experience as a sewer. 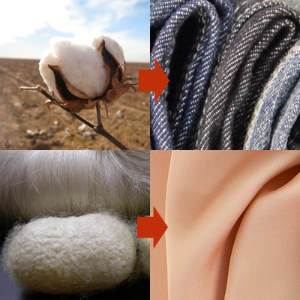 We'll start by discussing woven fabrics vs. knit fabrics and how each of these are constructed. Next, we'll demystify the major fiber types through a step-by-step introduction to cotton, wool, silk, linen and their man-made counterparts. During the class you'll put together a useful swatch kit to reference in the future whenever a little refresher is desired. This workshop is perfect for anyone wanting to improve their knowledge of textiles no matter the trade.